One of my last bottles of my 'dark' Season. 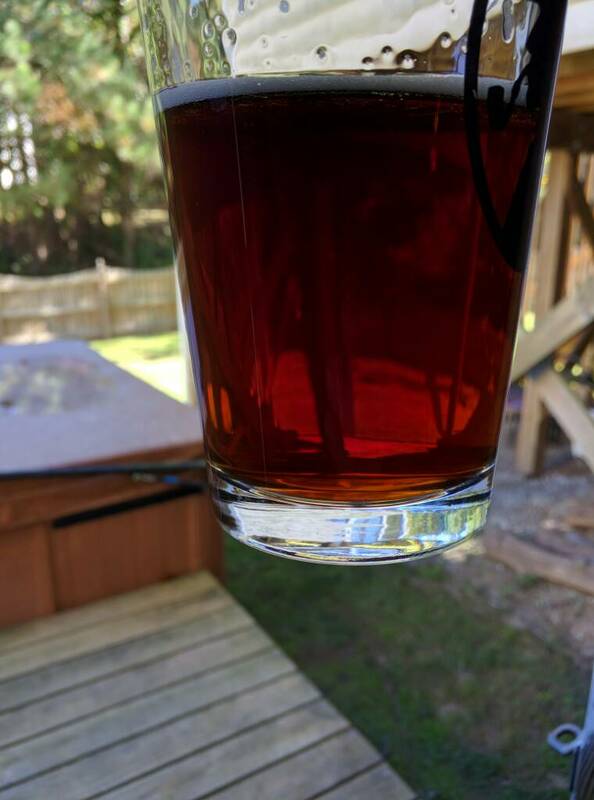 General Homebrew Discussion / Re: Can I check my brew?? This post is slightly old, but wanted to throw out an idea. I pull a pilot bottle when I put it into the FV. I plug the neck with a paper towel. This bottle already has the yeast and will ferment 'like' the rest of it. I used this for gravity readings until I am ready to bottle. I take final gravity from the FV at bottling. Once it settles down I plan bottling day, and chill the pilot bottle for drinking/sampling, if it is in good shape. This way I can keep the opening of the FV to a minimum. I like the sweeter beers. May be just me. Crazy how one degree made such a difference. My beers are still a bit random on what temp I will sit at. Not sure I could get mine down to a clear 1 degree difference. Yes, that's what I'm doing. I have tried pouring directly from the spigot to the bottle but that was too messy. A good measuring cup gives me a reliable flow with no spillage (if I am sober with a steady hand). What you suggest is one of the next steps for me. I would get a bottling wand and a hose. You can do it with just a hose though. If you put the hose on the end of the spigot and into the bottle, you can turn on spigot until the bottle is almost full. Very little in the way of mess and bubbles, and less exposure to oxygen. The bottleing wand makes it even better. It switches flow on and off as you put it in and takie it out ofthe bottle by pressing the tip to the bottom. Very clever. When you take the bottling wand out of bottle you are left with a good amount of head space. I also mix my sugar into bottling bucket, and not directly into bottles, but if you have a fool-proof measuring system, I am sure it is fine. I agree. It will be fine. Even a little bit of Sanitizer in the beer will not hurt anything. If you were getting close to bottling, I would suggest letting it sit for 24 hours or more.